What Kind of Oil Does My Tractor Need? 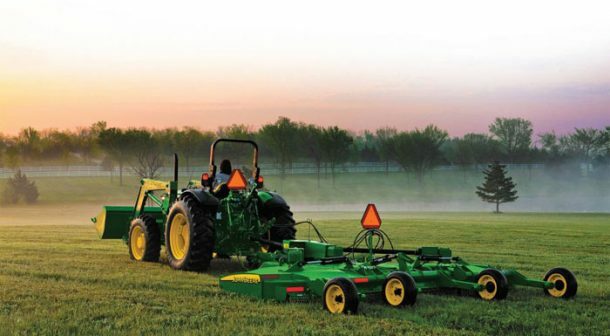 As the summer temperature rises, it’s important to make sure your tractor runs smoothly. One of the best ways to avoid major mechanical problems is with preventative maintenance. Changing the oil on a regular basis keeps your mechanical parts humming. The owner’s manual that came with your tractor will tell you how often the oil needs to be changed based on how many hours the tractor is used. For tractors used less often, a good rule of thumb is to change the oil every one every twelve months. Even when a tractor sits unused, contaminants and moisture can build up in the in the engine and cause more wear with the moving parts, resulting in a costly – and avoidable – repairs. Your owner’s manual should have the specific information you need for your model. If you want to tackle changing your tractor oil yourself and don’t have a manual, here’s what you need to know. Our Recommendation: If you have a Kubota tractor, buy Kubota oil and filters. If you have a John Deere Tractor, buy John Deere Oil and Filters. Doing this will likely cost a little more but remember that the manufacturer oil is formulated for your tractor. If you have an engine failure, the first thing the manufacturer will ask for is an oil and filter sample. If the machine is in warranty and you’re using an off-brand oil, it could put your warranty at risk. We’ve seen it happen. Recently, tractor oil was reformulated to meet new standards for efficiency and emissions, and your manual may not have the updated information. Due to the new emissions and fuel-efficiency requirements, we now have two new kinds of engine oils. CK-4 and FA-4 heavy-duty engine oils were formulated to handle the higher temperatures generated by next-generation engines designed to run cleaner and more efficiently. Your first consideration is the age of your equipment. CK-4 is formulated to be compatible with all engines, including older model tractors. It is available in the same viscosity and weight classifications you have always used; for example, 30W, 15W40, and 20W50. CK-4 is also available in different types of oil – conventional, full synthetic, and synthetic blend. So you’ll use the same kind of oil you have always used, it’s just better quality oil. FA-4 engine oils are designed for new tractor engines and have limited backwards-compatibility. Lower viscosity grades makes them perfect protection for the new fuel-efficient, lower emissions engines, but they should not be used in older models. Read the label carefully to determine which oil can be used in your model, and when in doubt, ask a knowledgeable professional. We always have someone available to answer your questions. Make, model and serial number of your tractor. Your local dealer should be able to look up specific recommendations for your engine. 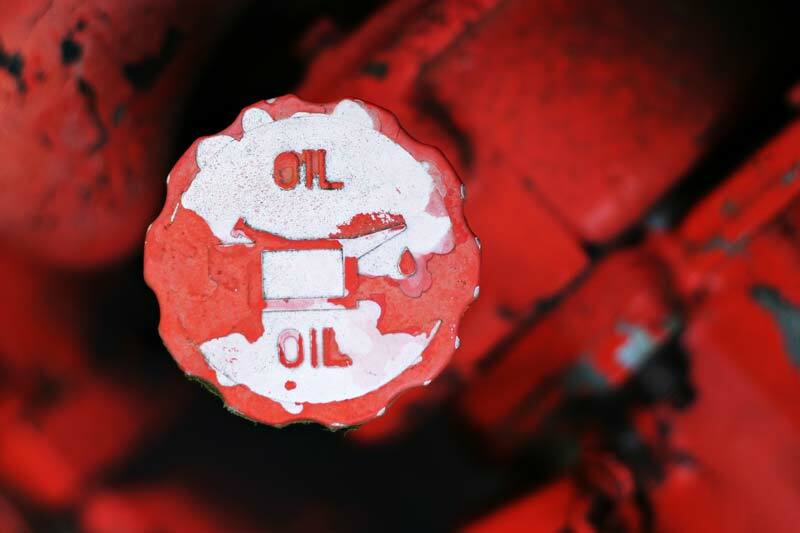 How much oil do you need? It’s critical that you get the amount right. Too much or too little is a problem. Owner’s manuals may be a little vague on the exact measure, since they often cover more than one model. Check with a dealer you trust. If all else fails, drain your old oil into a container and measure it for an approximate amount. What size and type of oil filter do you need? When changing oil you always want to evaluate the oil filter. There are two types of oil filters, spin-on and cartridge. Cartridge (not used as often) filters are found inside a container and drop in. Spin-on are threaded and screw on to the motor. While changing the oil in your tractor is not complicated, it must be done correctly and on time. If you’re unsure about any aspect of the process, consult with an expert or bring it in to your dealer for service instead of tackling it yourself. Above all, avoid ruining an expensive piece of machinery by neglect or poor maintenance. Done right, and your machine (and your investment) can last decades. A good tractor dealer will be able tell you exactly how much oil you need. Here’s a secret. If you bring your serial number into a dealer, they can tell you just about anything about your tractor. They can tell you all about your transmission and the engine work that’s been done under warranty. It’s very much like a social security number. Tractors don’t have titles. That’s why serial numbers are so important. We always encourage our customers to have their model and serial number handy when they visit.